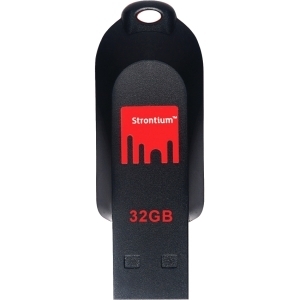 Strontium Pollex USB flash drive has a lightweight and compact form factor that brings extreme convenience to every users. Clad in a high quality plastic body material with smooth black and red finishing, you will not be able to resist the temptation of playing it within your fingers. Equipped with the latest COB (Chip on Board) USB flash module, you can be ensured with fast and reliable data transmission to improve productivity of your daily data usage.